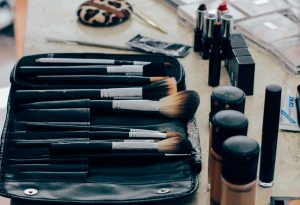 With Lindy’s 20 years of experience as a makeup artist, we can assure you that you’ll feel amazing for your special occasion. She customizes each look based on mutual preferences, and focuses 100% on making sure you’re more than satisfied. Two hour minimum for weddings. Do I show up with no makeup ? You should come to the appointment fresh faced. It’s fine for you to have your skincare on, but please do not wear any makeup. Can I bring my own makeup? You can, but it’s not necessary. I have a complete and diverse makeup kit. If you would like false lashes, they will absolutely be provided and included in cost.